It’s a difficult question, with many competing viewpoints. Since there is no clear biblical mandate, the best we can do is seek guidance from the Holy Spirit and perhaps consider what other churches are doing. Early in NewSpring’s history, the decision was made to invest in our musicians because worship music was seen as such a significant part of our church’s mission. We wanted to set the highest possible bar of excellence for our worship services — and to hold musicians to the highest standard — so we believed it was only right to dedicate the resources to reach that lofty goal. Paying musicians is an effective way to ensure the highest level of excellence. Our conviction stemmed from the desire to give God our absolute best because He has given us His best. We believe our musicians are called and equipped to lead our church into an encounter with the Most High God. These spiritual “warriors” prepare the way of the Lord when they step on stage in every service, at every location. In the desert of someone’s terrible week, they, like John the Baptist, smooth a highway, so that person comes face-to-face with God, and so that person’s heart becomes softened to the gospel. That’s why our band members aren’t just musicians. They are worship leaders. As leaders, they are expected to be prayed up, prepared, and punctual — our three Ps. Being prayed up means a musician is connected to God throughout the week as well as on Sunday so they are spiritually ready to lead the congregation. Being prepared means learning parts and songs prior to rehearsal, so practice is dedicated to putting polish on something that’s already shining. Being punctual means a musician arrives to rehearsal and Sunday services at call time. This gives them 15 minutes to be on stage and ready to rock at our "hard-start" time. These three things are vital to our success and our obedience to God's calling on our ministry as worship leaders. In addition, all our musicians are required to have the gear they need to bring their best to their position in the band. This includes guitars, pedalboards, drumsticks, in-ear monitors, etc. 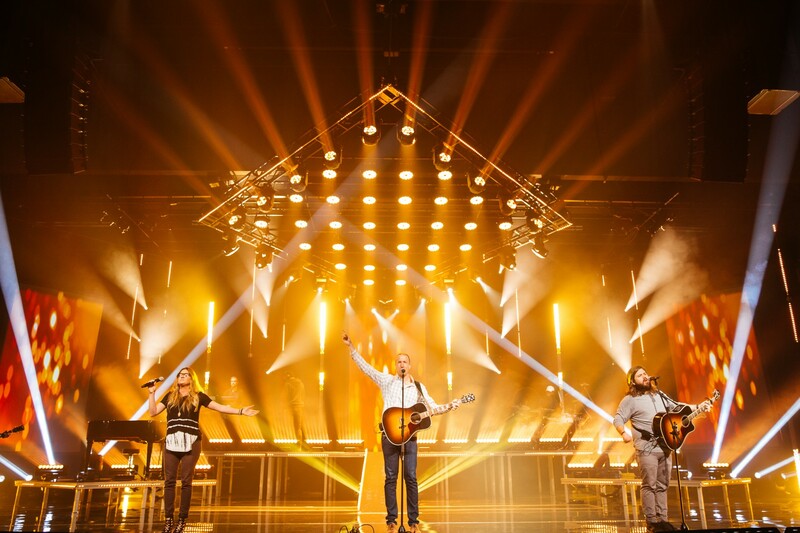 Every NewSpring musician in this weighty role also is expected to invest a significant amount of their time — a valuable commodity, especially for those with a family. All worship leaders are required to prepare on their own time, to come to a midweek rehearsal, and to arrive at church on Sundays at 6:30am for a 7- to 10-hour commitment, depending on the number of services. We recognize that every church contains many heroes of faith who must sacrifice their time and use their talent to serve Jesus. Compensation is not always an option, and paying church musicians is not the only way to hold them to a high standard. But when your church is called to resource what it demands, paying musicians is an effective way to ensure the highest level of excellence. Ultimately, we believe God provides for what He has called His church to do.